Mass General donor Shawn Logan continues to refine his philanthropy to benefit the people and programs that matter to him. Inspired by the care members of his family have received over the years, Shawn Logan supports Mass General's people and programs in creative ways. 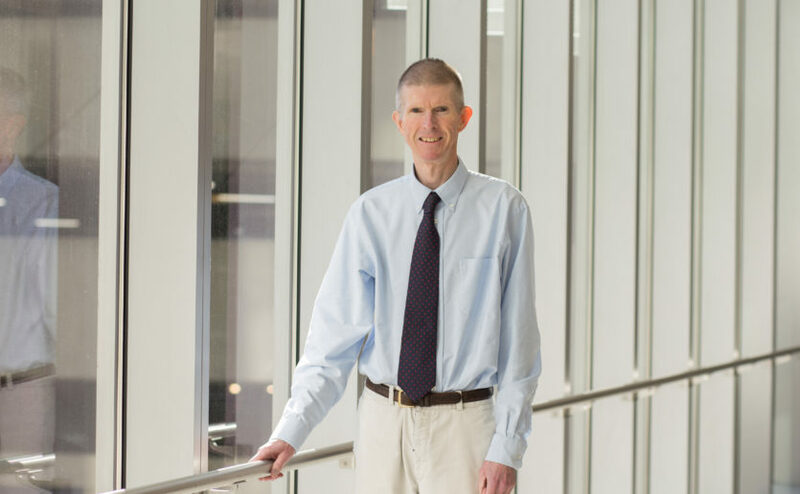 Even as a child, Shawn Logan was aware of both the lifesaving medicine and those who practice it compassionately at the Massachusetts General Hospital. Now a donor for more than two decades, Shawn continues to refine his philanthropy to benefit the people and programs that matter to him. As more family members experienced “outstanding care” at Mass General, partnerships with other specialists and staff grew. His family’s experience with Mass General began in the early 1960s, when Shawn’s younger brother was treated for a serious medical condition. Mass General’s first chief of pediatric surgery, W. Hardy Hendren III, MD, pioneered techniques that saved his brother’s life. “The whole situation made a huge impression on me,” Shawn says. He admired the doctor’s skill and equally valued his ability to communicate with the family. The relationship between the Logans and Dr. Hendren forged a personal bond that extended beyond the hospital walls. Upon reflection, Shawn realizes that such a deep relationship with a renowned surgeon was unique. However, through the years, as more family members experienced “outstanding care” at Mass General, partnerships with other specialists and staff grew. Shawn’s father became close to his oncologist, David Ryan, MD, clinical director of the Mass General Cancer Center. Shawn maintains that connection 12 years after his father passed away. Shawn Logan supports the research of David Ryan, MD (above), his father’s oncologist. Shawn actively follows Dr. Ryan’s research and has chosen to make an impact through yearly contributions in honor of his father. The idea is to give Dr. Ryan flexible funding for whatever is most needed. The program might hire a summer intern, augment patient resources or expand a clinical trial, Shawn explains. “I can appreciate the value of a fund you can readily access,” he says. Through annual gifts, Shawn also supports Mass General’s Maxwell & Eleanor Blum Patient and Family Learning Center. When his mother began treatment for an infection that lacked a specific cause, Shawn set out to learn more. The internet’s reach was limited at the time, and it was difficult to access medical journals. At the Blum Center, friendly staff produced the relevant articles he could share with his mother. Another way Shawn gives back is with long-term appreciated stock. If Shawn sold his stock and donated dollars, he would owe significant capital gains tax. Instead, he transfers the securities directly to Mass General, a nonprofit that can sell them and use the proceeds in full. “I encourage people to explore this method to make full use of their gift,” Shawn says. “There are so many opportunities to take advantage of the tax benefits of giving,” he adds, citing gift annuities and charitable remainder trusts that provide income to individuals and then support to Mass General, as well as donor advised funds. Through annual gifts, Shawn Logan also supports the Blum Center, which helped his family at a time of need. Shawn refined his will to designate a portion of his bequest to support Dr. Ryan and a portion to the MGH Fund, which provides unrestricted funds that can be used to address new opportunities and challenges across the institution. Since his first gift to the MGH Fund in 1994, Shawn has strongly believed that part of his giving should be unrestricted. “I’ve targeted a couple areas of the hospital but clearly there are other worthy areas about which I know nothing,” he explains.